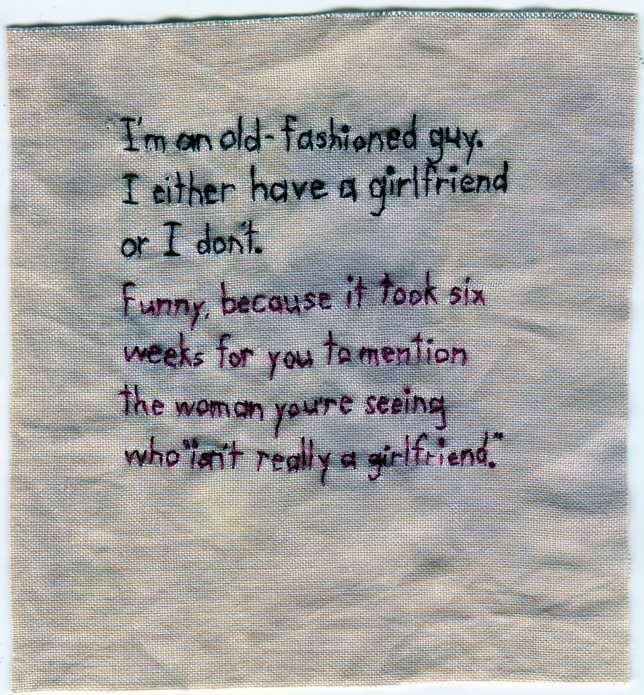 “Girlfriend.” 2012. Embroidery on fabric dyed with purple onion skin. 4.5″ x 4″.